LED lamps are vibration resistant. It’s not the energy savings. Not even a consideration. Think about it. I buy a $22 LED flood lamp and save almost two dollars per year in energy costs. Let’s see. Hmm. That means I’ll break even in about 10 years. But, if I buy two of them, I’ll save FOUR DOLLARS! Oh, wait … that’s going to cost me $44 for those lamps. It’s the same result. Don’t get me wrong. I’m all for saving energy. But selling me on the dwindling energy costs alone isn’t going to cut it. Just doesn’t compute. So, the energy savings isn’t really a benefit. Actually, it’s more of a feature. I … hate … climbing … ladders! That’s why. Yes, I really hate climbing ladders. In my youth, it wasn’t a problem. I was spry and full of energy. And I wasn’t too afraid of falling … just that sudden stop at the end. But now that I’m quickly approaching six decades on this old earth, my perspective has changed. Hate to admit it, but I’m not as young as I used to be. The long life of the LED is what intrigues me. I have four flood lamps (par lamps) on the outside of my house. And I would inevitably have to drag out the extension ladder at least twice a summer to replace one or more of them. I dearly hate climbing ladders. And that, my friend, is why I bought LED lamps for my home, both inside and out. Once installed, I put the ladder away for a long, long time. Yeah, buddy! So, how does that translate into the commercial and industrial world? What is the core benefit your customer is looking for? Be forewarned that it may be, as they say, different strokes for different folks. But once you’ve discovered all of their CNI factors (Challenges, Needs and Interests), your copy takes on a new life. A more productive one. A shipping dock had five truck bays with swing-arm loading lights. I had talked to them about changing to LED par lamps. But they thought the price was too high. These lights with the halogen flood lamps burned out … a lot. When a lamp like that is on, the filament is at its weakest. And when it was swung into the wall of a trailer or the dock, the filament often broke. At least one or two a week needed replaced. No big deal. They were fairly cheap to replace. A new safety rule required these lights to be functional at all times. But since they failed so often, the dock manager was written up on a regular basis. And he hated it. When I suggested LED lamps this time, I took a different approach. Instead of energy savings, I promoted their ruggedness. He agreed on a trial run and the bulbs never failed for the six months that I logged them. And they’re still working. All of their bulbs are being changed to LEDs now. A similar case concerned warning lights on a shackle conveyor line. Incandescent lamps in Mason jar style fixtures were used. There were two lines. If a light burned out, that line had to be stopped. And line vibration killed them on a regular basis. LED warning lamps and fixtures were installed in 2004, at a cost of $500 each. It was a leap of faith, but 11 years later, the original lamps are still burning. On average, they are on for 16 hours a day, four and five days a week. And sometimes six. From the original price when installed, the total cost of ownership over 11 years comes down to about $45 a year. Their vibration resistance was a key feature. The fact that the lines were never again shut down for failed lights was the deeper, core benefit. That’s the same reason I have LEDs in my ceiling fans. So, how do you express all these core benefits? It’s tough, because it may be different for each industrial customer. As an industrial B2B copywriter, I know how hard it is. I’ve spent hours on end getting to the bottom core benefit of each feature on a product. And “So what?” became my mantra when writing copy. And on it goes until a core benefit is finally reached. And then, the process begins for the next feature. But obviously, it’s hard to include each core benefit for every situation in your copy. So, how do you explain them? There are two good ways and they work in conjunction with your copy. Testimonials are obvious. A brief blurb about what the product did for a customer is always helpful. They’re quick and can be used for various core benefits. But for more complex benefits (those that strike a deeper chord), you can’t beat case studies. They are a form of content marketing. They tell a story: the buyer or hero’s journey. It’s an ages old format that worked in ancient times and still does today. Pretty much the format of myths and legends, both ancient and modern. And a great way to position your product as the best solution. A case study explains one challenge, benefit and resolution. So if your product has core benefits for differing challenges, more than one may be necessary. The biggest advantage that case studies have over other formats is that they provide social proof. While everyone wants to be number one, few want to be first. Particularly on an expensive product or purchase. But when they see the success stories of others, especially if it relates to their situation, they feel reassured they are making the right choice. I know. We’ve come a long way from me liking LEDs because I hate ladders. But, that really was my core need and benefit. As you promote your product or service, dig deep. Dig deep and find the core benefits for every situation and scenario. Features don’t sell products. And core benefits sell even more. The lights and the ladder strikes a chord with me. I share that ‘hesitation’ to climb up. I’m looking at a light in our foyer, 20 feet from the floor. 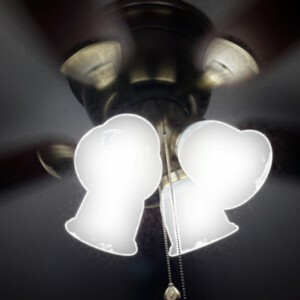 The original incandescent bulb continues to function… after 15 years. But we don’t turn it on often. I would like to have the light on for guests, but I fear the climb. Like Steve Slaunwhite talks about the dual edge of B2B; the business case and the personal case. For your Dock Manager, the LED lights solved both cases. 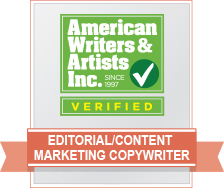 As a B2B Copywriter, you dig down to find core benefits for both sides. Thanks, Herb. Wishing you all the best!